The Chaudhry brothers have decided to align with the PTI in the Centre as well as Punjab, increasing the chances of the PTI forming a majority in the Punjab Assembly. Chaudhry Shujaat Husain and Chaudhry Pervaiz Elahi met a PTI delegation led by Fawad Chaudhry on Sunday. The leaders of the two parties discussed the possibility of an alliance. 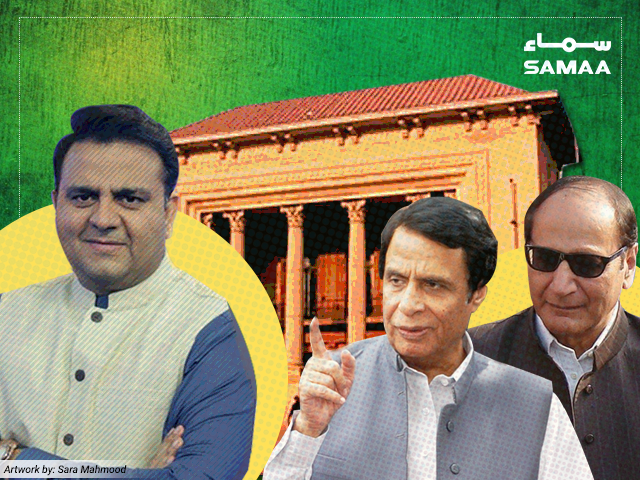 The PML-Q, the party led by the Chaudhry brothers, has seven seats in the Punjab Assembly. The PTI, which is just six seats behind the PML-N in the Punjab Assembly, is looking at possible alliances to form a majority with 149 seats. So far, six independent MPAs, Raja Sagheer, Saeedul Hassan, Hussain Gardezi, Syed Rafaqat Hussain Shah, Basharat Randhawa and Hanif Khan, have already joined the PTI. According to a state-run news agency, the PML-Q has decided in its party session to join the PTI and decline the PML-N’s offer. Former speaker in the National Assembly Ayaz Sadiq had contacted the PML-Q on behalf of the PML-N.